Who Ever Heard of a Jewish "Mukhtar*," and in Tiberias, no less. village in many Arab countries and Turkey. The picture was taken in 1917 before the Turks fled Palestine and Allenby marched in. 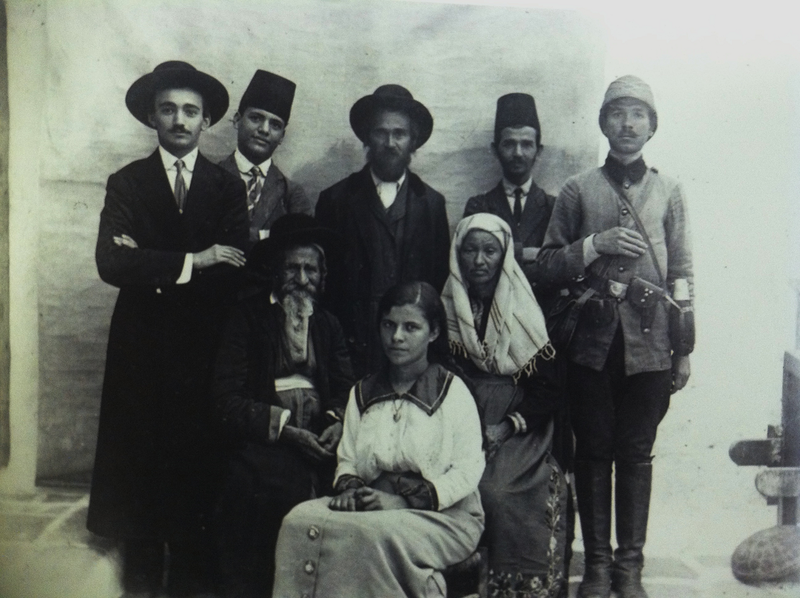 The old man in the middle was my father’s grandfather – and the “mukhtar” of the Ashkenazi community in Tiberias appointed by the Turks. His wife is alongside, and my dad’s sister is in front. The “Alter Mukhtar” was Alter Pinchas Elazar, and the family name was gradually being changed at the time from Varhaftig to Amitai [later to Amitay]. His wife was Freidl and his granddaughter (my father’s sister) was Sara. In the back row from left to right is Yehoshua, Yona, Asher, Yitzhak and Leibl. Note the diversity of my father's uncles! A Turkish soldier, Chasid, two Turkish businessmen (fez and all), and one perhaps "Modern Orthodox." saved many during the epidemic, Safrai writes. 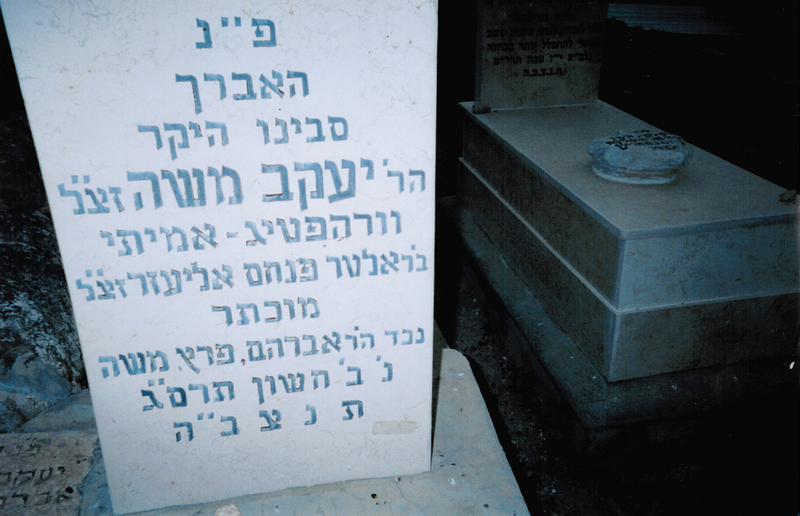 Here is buried the young Talmud scholar (avrech), our dear grandfather Ya'akov Moshe Varhaftig-Amitai, son of Alter Pinchas Eliezer, mukhtar, grandson of Avraham Peretz Moshe, died 2 Heshvan 5663 (November 2, 1902). Morris Amitay wrote that his father was proud of his "family's origins in 'Palestine' in 1777." Research done by one of Amitay's cousins reports, "The Varhaftigs originated from Slonim, (near Minsk and Vilnius) in Lithuania. They departed February, 1777 for Palestine via Turkey, arriving six months later in Acco. They settled in Safed until 1781, and then moved to Tiberias." 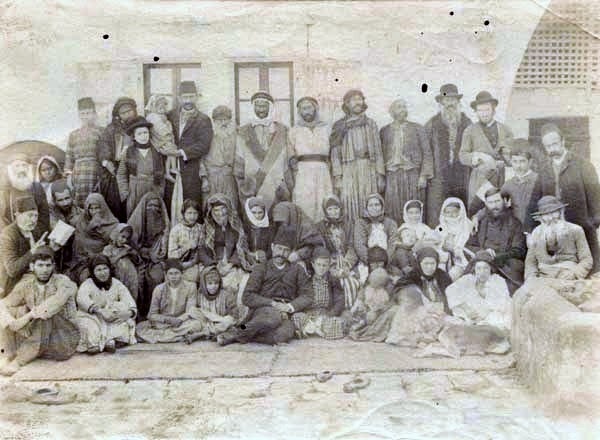 According to another family account published in Israel by Nava Safrai, a granddaughter of Sara from the 1917 picture, the Varhaftigs arrived in 1808 from Pinsk. A wave of Hassidic "aliya" to Eretz Yisrael took place in the latter part of the 18th century and early 19th century, including the son of the "Karliner Rebbe." The Varhaftig family belonged to the Karliner Hassidic group, and one member of the family, Mordechai Wolf, traveled to Tzfat to visit a leading Karliner rabbi in 1837. A catastrophic earthquake hit, destroying much of Tzfat and killing Mordechai Wolf. 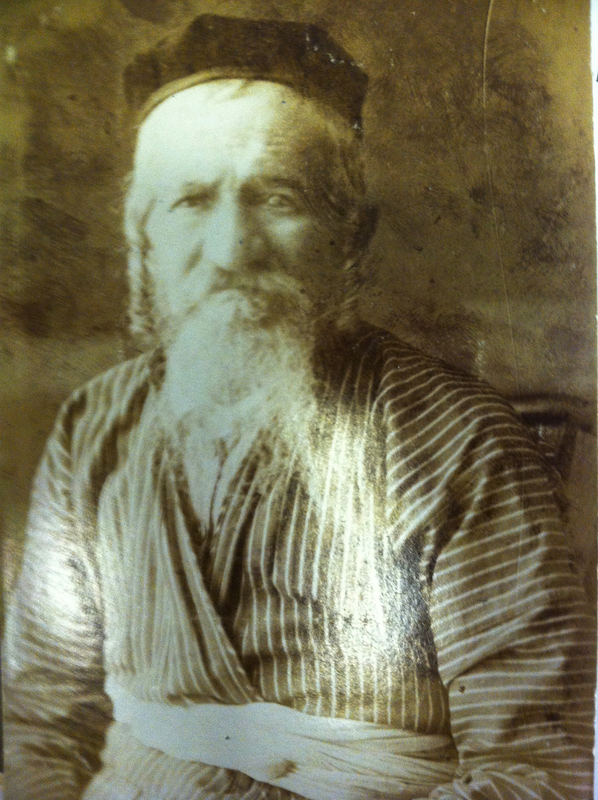 Alter Pinchas Amitai (born 1851) was appointed the "Mukhtar" (village elder) of Tiberias in 1891 by the Turks. According to Safrai, the "Alter Mukhtar" was forced from the position in 1915 by the Turks because of his forging documents to help Jews avoid the Turkish draft. Note that one son in the 1917 family portrait was a Turkish soldier or policemen, perhaps precisely because of his father's experience with the Turkish authorities. We also present an 1886 picture of Tiberias, part of our photo essay on Jewish life in the Galilee town. We uncovered this picture in the photo archives of the University of Dundee Medical School. Postscript: Morris Amitay, a descendant of Tiberias Jews, was a senior aide to U.S. Senator Abe Ribicoff of Connecticut. The only other Jewish senator at the time was Jacob Javits of New York. Javits' mother, Ida Littman, was originally from Tzfat, not far from Tiberias. Amitay went on to head the American Israel Public Affairs Committee in Washington. An interesting note: these two Jews were listed by the British authorities in 1934 as "Palestinian." They were sons of Yehoshua Varhaftig - Amitai, later to Amitay. Yehoshua came alone to Brazil, and after some years, the whole family arrived in Rio de Janeiro. My closed friend Mr Yisrael Levin , his Saba Rabba was the Mukhtar ( from his mother Amity Family. Yisrael passed away about 2 month ago . On 29/5 , we celeberting our 70 years in Tebirias and I would present this information and artical.